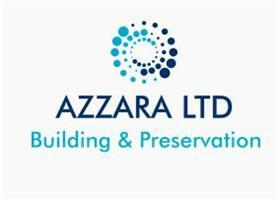 Azzara Ltd - Builder, Plumber based in Havant, Hampshire. Azzara Ltd is a leading company in building and maintenance services. We are a reputable building contractor with a broad range of experience gained over many years in the building, preservation, maintenance and management services sector in the UK. The founder of Azzara Ltd (Aaron Jacobs) has a long-standing reputation for integrity, professionalism and excellence. We are passionate about our work and committed to delivering enhanced value at every stage of Work by working collaboratively with all stakeholders. We have a strong reputation for achieving excellence in quality, innovation and delivery services. We provide our clients with a level of service on time and above customer expectations. This is reflected in the level of repeat business, customers' compliments and the long-term relationships we maintain with our customers.